NovoRapid and Novomix30 - sound similar don't they? The difference is subtle but important. Increasingly, people with type 2 diabetes are now also being managed with insulin, as well as people with type 1 diabetes. 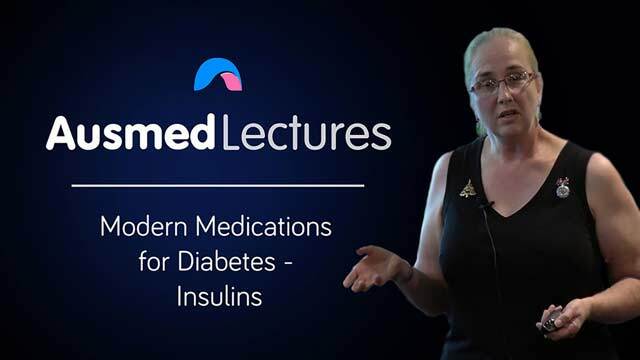 There are now an abundance of insulins available - join Lois Rowan to navigate the minefield and understand the differences between these medications. Lois Rowan is a Registered Nurse, Registered Midwife, Credentialled Diabetes Educator and Nurse Practitioner. Lois is currently working at the Royal Melbourne Hospital as Diabetes Nurse Practitioner. She also works at the Victorian Endocrine Clinic as well as a number of medical centres and a pharmacy across Melbourne. For the past 13 years, Lois has worked for HARP (Hospital Admission Risk Program) and has spent the last 7 years on the Australian Diabetes Educators of Australia credentialling committee. Lois is also an Ambassador Speaker for the Prostate Cancer Foundation of Australia.